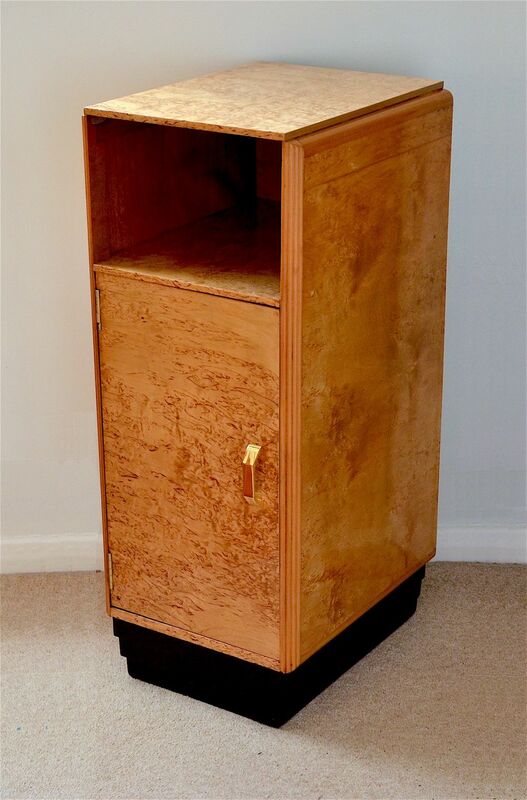 This gorgeous bedside cupboard, also known as a "pot cupboard" is made of birchwood and has a black lacquer tiered base. It has reeded sides with an open front at the top and a cupboard below with a shelf. The cupboard door handle is gold plated. We have had a piece of glass cut to fit the top of the cupboard to protect the birch wood.